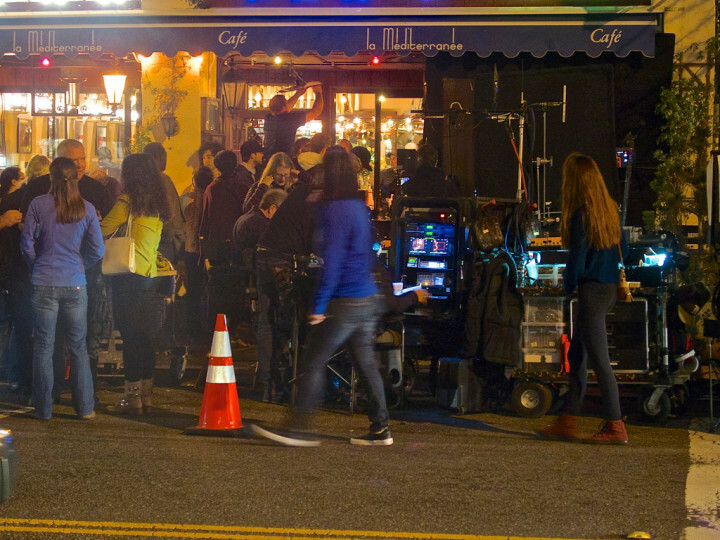 The 2900 block of College Avenue in Berkeley’s Elmwood neighborhood was transformed into a mid-1980s scene on Friday night, as director Danny Boyle filmed a scene for a new Steve Jobs biopic at La Méditerranée. Period cars from the 1980s were parked on the street, and the producers had put out a casting call for men with long hair and facial hair, and women with “natural hair colors” to match the 1980s to 1990s time period. 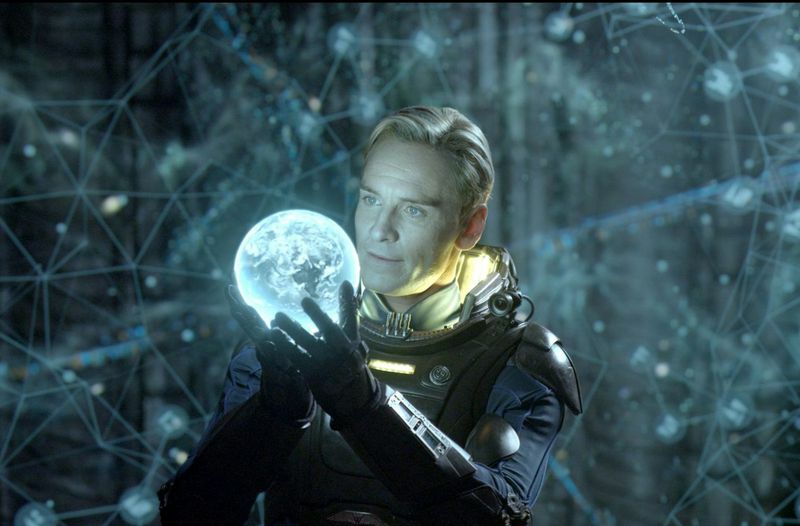 While scores of curious onlookers hung out on College, sightings of the film’s stars — Michael Fassbender (who plays Steve Jobs), Seth Rogen (Steve Wozniak), Jeff Daniels (John Sculley), and Kate Winslet (Joanna Hoffman), were fleeting, at best. The movie will reportedly consist of three real-time scenes, each about half an hour long, following Steve Jobs just before a major product announcement, though that may no longer be the case, as we doubt Jobs was hanging out in his garage just before any given keynote.